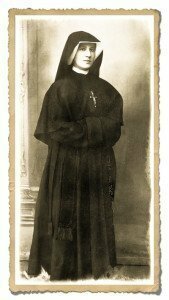 From the earliest pages of her Diary, Saint Faustina Kowalska writes of being directed to pray and sacrifice for her native land. In addition to offering ongoing prayer and being true to her vocation, the Lord and Our Lady assigned a variety of specific novenas to appease God’s anger and bless her country. Nine days of holy hours, the Litany of the Saints, Holy Communion, and the recitation of the Chaplet in community was most times rewarded with heavenly visions of the graces derived from them, and St. Faustina was given to know the sublime importance of the prayers of those who are pleasing to God. Therefore, seeking every grace and blessing for our native land, we encourage our fellow countrymen to pray for America as St. Faustina was instructed to pray for Poland. We invite all to participate in each of the novenas, and to repeat them as often as possible, preferably monthly. Each of the novenas can be done separately, but some of them may be completed together as recommended at the end of this document. 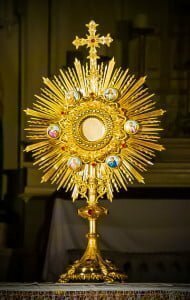 Ideally holy hours of adoration are performed in the presence of the Holy Eucharist. For many who may not be in close proximity to a church or chapel this may be quite difficult if not impossible. But all need not be lost. 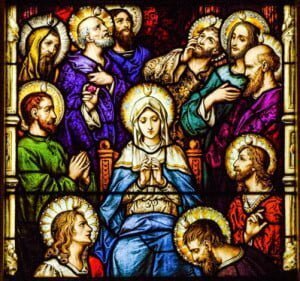 An hour of prayer from the heart, especially in union with the Blessed Mother in front of the Image of The Divine Mercy, can be a great alternate plan. During this hour of prayer for our country you may also consider the second novena request found just a few passages further along into the Diary. The Lord taught St. Faustina a new prayer, the Chaplet of Mercy. Prayed on a normal rosary in about ten minutes, its recitation comes attached with several promises for souls. Not long after the Lord gave St. Faustina this special prayer, she was asked to pray it with the other women in her community for Poland. A holy hour of adoration that includes the Litany of the Saints and the Chaplet of Mercy prayed from the heart in union with the Blessed Mother is bound to be powerful, nine days in a row, ever more so. Saint Barbara also appeared to St. Faustina wearing a brilliant crown of stars and holding a brilliant sword in her hand, she too recommended nine days of Holy Communion. Oh how blessed we are to have the saints to help us in the battle for souls. 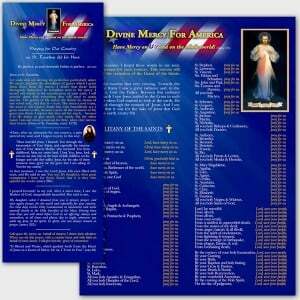 The Divine Mercy for America Prayer Guide includes a beautiful Litany of the Saints, instructions on how to pray the Chaplet of Mercy, the prayer for the conversion of sinners and more to help facilitate the recital of these novenas for our country. Whether praying alone, with your family or in a group, please be sure sign up to let us know you are part of the movement to change the tide in our country by registering here.